Shandon Baptist Church has such a heart and vision for missions. 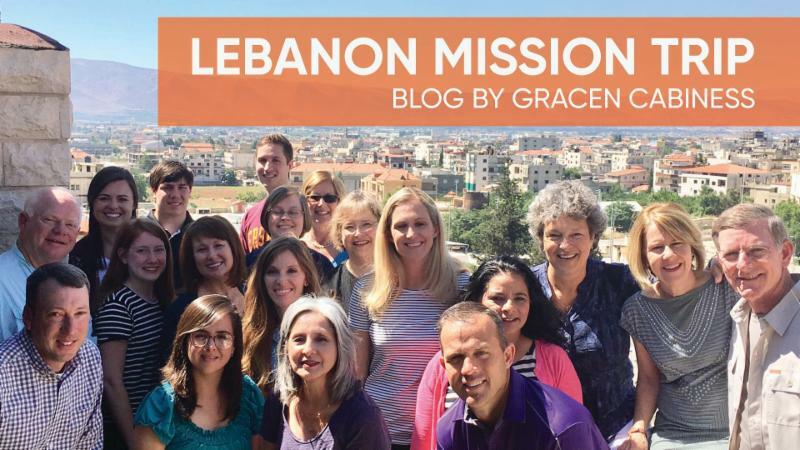 After meeting with people on the ground in Lebanon this past January, many prayers, and the call to live sent, a two-fold team was established. Of the nineteen members that just recently returned from Lebanon, one group held a camp for kids and the other set up a medical clinic. The Bible clearly declares that the Lord is a safe haven for all. The Syrian conflict has caused many innocent lives to be lost and people to be displaced from their homeland. Psalm 9:9 states “The Lord is a refuge for the oppressed, a stronghold in times of trouble.” The Lord is using the church in Zahlé to be a refuge for the displaced people. The medical team consisted of two general doctors, a pediatrician, a dentist, a pharmacist, and a nurse in addition to the leader, a hairdresser, and three volunteers. The clinic was based out of True Vine Evangelical Church in Zahlé, Lebanon. The goal of the trip was to not only love on those who have been displaced due to the Syrian conflict, but to also reinforce the credibility of the church in the community. Only one percent of the people claim to be evangelical Christians in Lebanon. This church uses its location near the Syrian border to continually serve and show the love of Christ and to teach the Lebanese believers to use each situation to advance the kingdom with open hearts. The physical and emotional care provided was so God centered. Each person who walked through the clinic had a story to share. Being able to bring normalcy for a brief time through a haircut or being able to assuage their fears about medications was so powerful. The smiles and gratitude shone on each face. However, it would not be possible without Serin and Amir, full-time medical missionaries on the ground there. Each day they work tirelessly through the church as a nurse and physical therapist to help the displaced people in Zachlé. They run the clinics of incoming medical teams, act as translators, and have personal connections with the people. They were even able to drive us to meet a family we became attached to in a tent camp. Their sacrifices are so touching. God truly used the team to plant seeds and love on those “in times of trouble”. The People – Pray that there will be a resolve and that they may one day return to their homes. Let them find eternal comfort through the Father. The Church – May the church continue to be a light to the people. May the love of God be felt and the hearts reached be opened. Let the church be able to continue their many ministries that reach the displaced people. Amir and Serin - Please pray that they can receive enough financial support to continue to live full time on mission providing free healthcare in Fayda (a tent camp) and True Vine. Also, please give them the strength to continue to constantly care for these people no matter how exhausting it may be. We are so thankful for all facets of the support from Shandon! It would not be the same without your prayers, financial gifts, donations, and even child care for the kids stateside of those who served!